The least expensive single-family home available in Sunset Park! Includes 2 additional structures on a large, deep R2 lot w/potential for expansion, future 2nd unit or triplex! 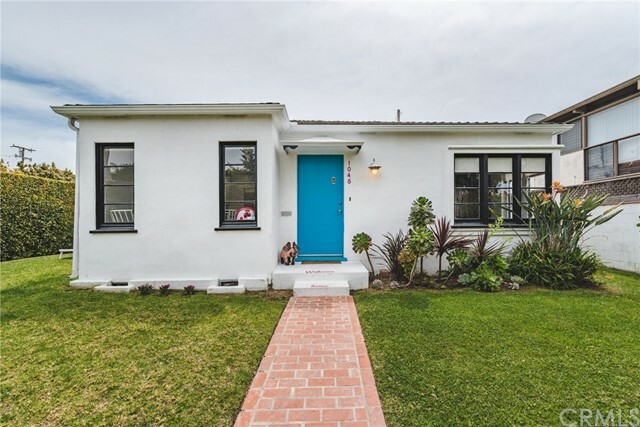 Traditional 40's home on a quiet tree-lined st, blks from restaurants, cafes, shops, & about a mile from the beach. 2 bd, 2 ba, living rm, dining rm, hrdwd floors. Recent upgrades include recessed lighting, forced air heat, electrical, plumbing & seismic retrofit. A spacious semi-converted two-car garage structure opens out to a privately enclosed patio w/potential for conversion to 2nd dwelling unit (R2 zoning), or legal 'Accessory Dwelling Unit/ADU' (check with city). An attached bonus room provides additional flexibilities w/French doors to another patio & an expansive backyard. An additional detached 1-car garage provides for more parking or storage & completes this highly desirable package offering flexibility & options typically not available in this price range! Listed sq footage only includes main house. Based on information from California Regional Multiple Listing Service, Inc. as of 10/25/2018 6:50:16 AM PDT and /or other sources. All data, including all measurements and calculations of area, is obtained from various sources and has not been, and will not be, verified by broker or MLS. All information should be independently reviewed and verified for accuracy. Properties may or may not be listed by the office/agent presenting the information.